Over time, it can be harder for older adults to connect with others and keep up their social lives, as changing health factors and relationships take an effect. Changes to an older adult’s mobility or health needs can make it more difficult to get out and keep up with social opportunities, for instance. Similarly, many adults juggle busy schedules, which can make it harder to keep up with family gatherings. This is a natural part of life – but it’s also an important reminder that taking steps to help your older loved ones remain social could make all the difference for their health, wellbeing, and quality of life. For people of all ages, too much social isolation can have detrimental effects – but maintaining active, socially engaged relationships can have countless positive benefits, particularly for older adults. Spending more time with family and friends could improve older adults’ physical wellness. 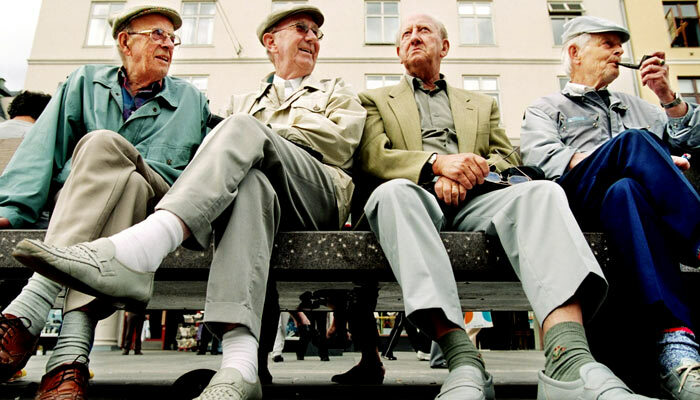 The National Institute on Aging (NIA) reports that “social relationships are consistently associated with biomarkers of health.” In other words, people who are more social often rate higher in terms of their physical health. Another study, from the Rush Alzheimer’s Disease Center in Chicago, found that those with high levels of social activity had 43 percent less disability than those with low levels of social activity. Staying active and socially engaged has been linked to numerous mental health benefits for older adults, as well. According to Psychology Today, building social connections has been shown to be “one sure way of improving your mood.” What’s more, Psychology Today notes that “interacting with others boosts feelings of well-being and decreases feelings of depression,” which can be quite common among older adults. For instance, interacting more with others can help mitigate feelings of loneliness in seniors, which are tied not only to physical side effects, but mental and emotional ones as well. Curbing feelings of loneliness can help reduce the risk of developing depression and anxiety among older adults. A growing body of research has also indicated that staying socially connected can help slow cognitive decline, and lessen many of the symptoms and effects of dementia. For instance, recent research projects have indicated that people who regularly socialize with others tend to perform better on memory and cognition tests. One Rush study indicates that “the rate of cognitive decline” may be as much as “70 percent less in people with frequent social contact than those with low social activity,” though the group studied here did not have dementia at the baseline. Finally, it’s hard to overstate how much engaging with others – whether that’s friends, family, a caregiver, or a community of neighbors – can create a lasting sense of purpose and belonging in older adults, which can, in turn, positively affect many other aspects of their health. Similarly, developing strong relationships with others has been shown to boost self esteem, increase feelings of fulfillment, and build lasting bonds. It’s hard to overrate the value of these relationships for seniors’ health! Not only do these social bonds come with physical and mental benefits inherently, but they also create a support system and accountability for your loved one, helping to keep them safe and feeling their very best, particularly in trying times. Do You Have An Elderly Loved One Who Could Benefit from Companionship? For many older people, it can become harder to maintain social bonds over time, as the loss of a spouse, changes to mobility, and other factors can make it more difficult to connect with others. While the support of a loving family caregiver and a local support network can have huge benefits, it can be challenging for many people to balance the level of care their elderly loved ones need, with the many other challenges and responsibility of daily life. In many ways, an in-home caregiver may be a great solution!.That’s where Companions for Seniors would love to step in and help. Our companions are a great way to help make sure your loved ones are getting the social interactions and support they need, without having to leave the comfort of their homes or finding a way to pay for expensive, institutional care. At Companions for Seniors, our mission is to help seniors live independently and with dignity in the comfort of their own home by empowering them to lead an active and enriched lifestyle, connecting them with their community, and nurturing meaningful relationships. We’re locally owned in the Chicago area, with clients in the city and suburbs. Our companions are trained, bonded, and insured, and can help provide a variety of services designed to help your loved one remain in the comfort of their own home. We offer personalized care plans for each of our clients, and our caregivers can assist with activities of daily living, housekeeping, driving services, and more.